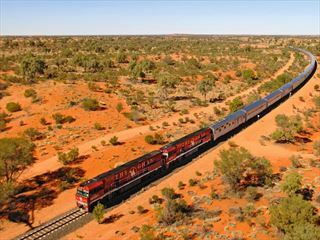 In the morning, meet with your tour guide and fellow travellers and begin your journey south along the Stuart Highway towards Katherine to enter the Nitmiluk National Park. There will be time for a short stop at Adelaide River where you can learn more about the town’s involvement in the Pacific phase of WWII. In the evening, there will be a welcome dinner on the Katherine River where you’ll learn about the history and culture of the local Jawoyn people, whilst marvelling at the beauty of the surrounding scenery. 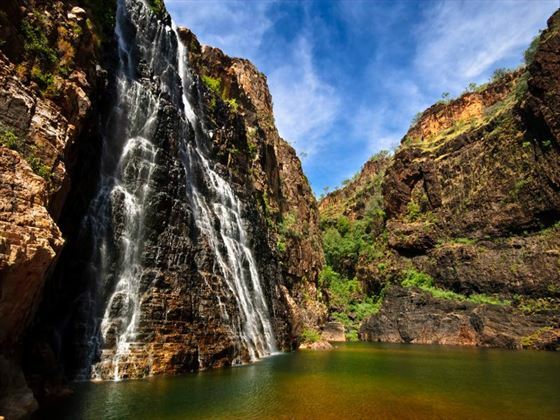 Today sees you visit the largest national park in Australia – Kakadu. 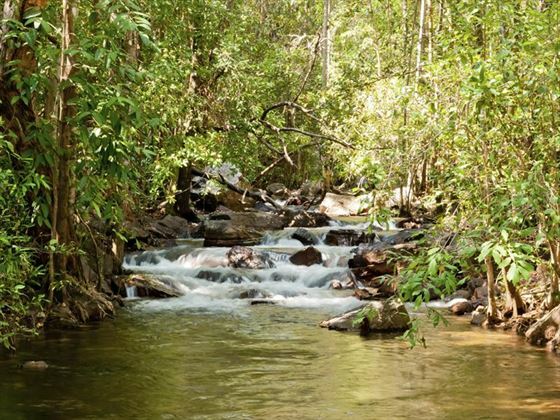 This world heritage-listed park is both a cultural and natural sanctuary, offering the chance to take a scenic journey across the gravel track to Gunlom Falls where you can take a splash in the waters (weather and season permitting) and enjoy a charming picnic lunch. 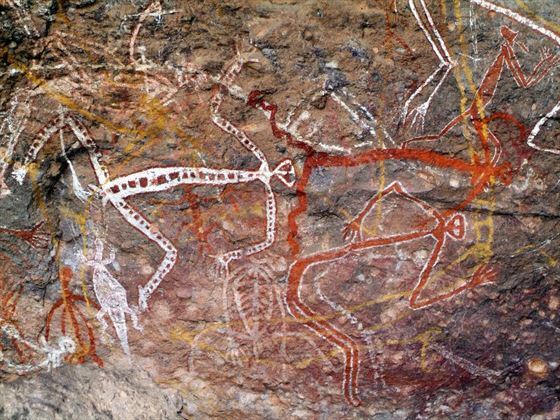 In the afternoon, visit Nourlangie which is famous for its Aboriginal rock art, some of which dates back more than 20,000 years. In the evening, unwind and enjoy the facilities at the hotel. 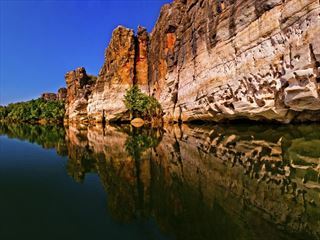 If you’re up bright and early, why not take a morning scenic flight over Kakadu and Arnhem Land? Alternatively, you can sleep in and relax before your days activities. 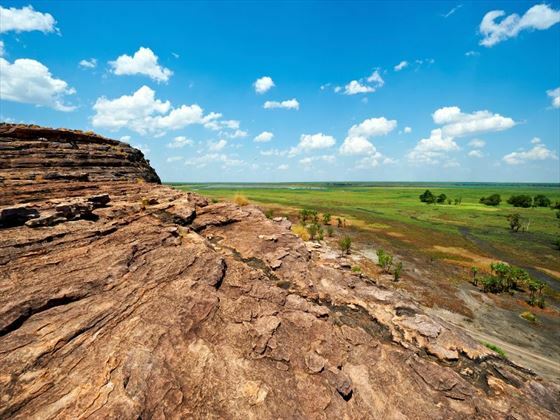 Join the group and tour to Ubirr to see the ancient rock art and walk a short distance to admire the views of the surrounding wetlands. The birds and wildlife found here is amazing, with a wide variety of species to keep a lookout for. Leaving Ubirr, head to the Bowali Visitor Centre before moving into the Mary River floodplain system; later on, you’ll make your way to the lodge for your two-night stay. Venture to the nearby Rockhole Billabong mid-morning to enjoy an informative and scenic wildlife cruise to see the amazing array of bird species, estuarine crocodiles and enjoy the stunning floodplain system. In the afternoon, you have the choice to either relax at the lodge or head out to explore the Wildman Estate. There’s also the option to take an exhilarating airboat ride (seasonal). If you want to watch the sunset and admire the views, make your way to Leichhardt Point to watch the sun set over the wetlands. 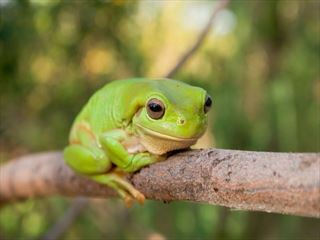 Leave the Mary River system today and journey back across the landscape via the unsealed Marrakai Track (seasonally accessible) and through the cattle stations to Litchfield National Park. Here, you’ll enjoy a picnic followed by a swim at Florence Falls, if you wish. 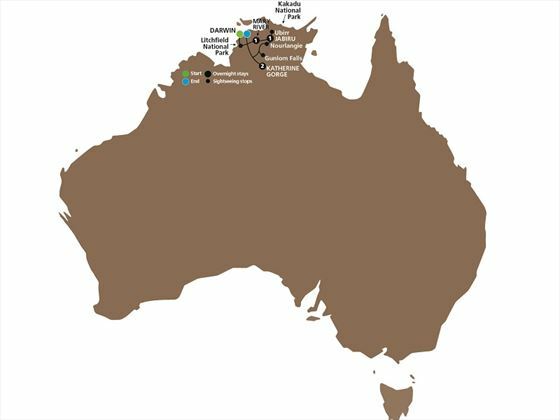 Take a trip to Wangi Falls and learn about the importance of this area in Aboriginal culture and custom, before heading across the Finniss River and back to Darwin, where the tour comes to an end. 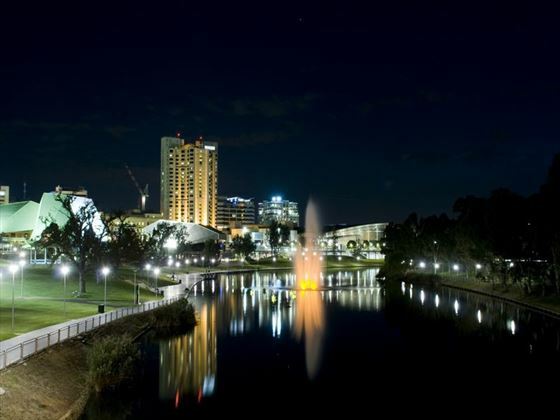 Your tour ends in Darwin - opt to spend an extra night here or fly to your onwards destination.